Come learn how to use the Promethean ActivBoard and the ActivInspire software in your classroom. A Promethean ActivBoard combines the look and feel of a regular whiteboard with the power of a computer. In this class, you’ll discover how to locate hundreds of lessons that have already been created for use on the ActivBoard and become familiar with features such as Focus tools, Power tools and the Resource Browser that make your lessons more interactive. This class is for beginners; no prior knowledge of ActivInspire required. Do you already have a Promethean ActivBoard and consider yourself a user? This intermediate class is for you! Come learn the advanced features of the ActivInspire and create Flipcharts. We’ll develop lesson activities that organize lesson resources, make use of sound and images to motivate students and create a story or problem where your students demonstrate knowledge or creativity in a fun way. You’ll be able to create your own usable Activboard Flipchart, either from scratch or by tweaking a downloaded lesson. Prerequisite: basic knowledge of ActivInspire or Level 1 Promethean class. PREREQUISITE: Level 2 Training or equivalent; NOT FOR BEGINNERS; participants will be sent a survey of their skills before enrolling. Enhance your ability to create professional and interactive Flipchart lesson activities! This class provides instruction and best practices for creating content with ActivInspire learning software. Available for teachers with intermediate or advanced skills in ActivInspire software, this class will teach you how to create interactive lesson activities based on curriculum standards and best practices scoring guides. You’ll also collaborate with others to design and build lessons. You are encouraged to bring any curriculum materials you might need, such as teacher guides and supplemental materials. Lesson activities created in class will then shared with other teachers through the Promethean Planet website. 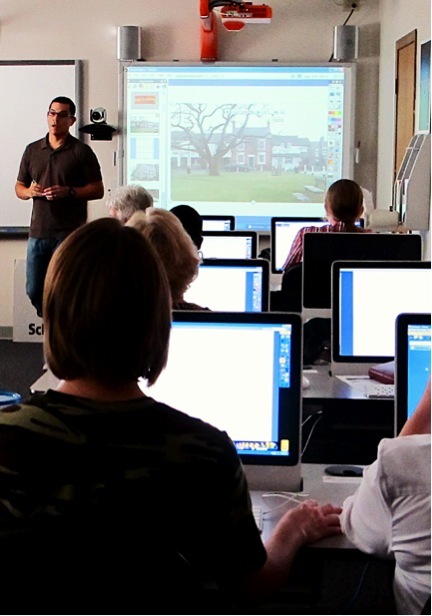 Register here for the above Promethean ActivBoard courses- level 1, 2 and/or 3!